1. Having completed 12 years of education outside Japan, or having equivalent certificate acknowledged by the Ministry of Education, Culture, Science and Technology. 2. Expected to be 18 years old or older, and judged by KIIS’s original testing program to have academic achievement equivalent to senior high school education. 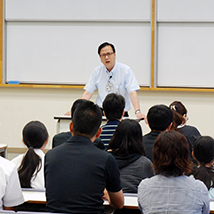 Note: Those who have finished more than one-year long Japanese language education program at some other institute else cannot apply for this school. 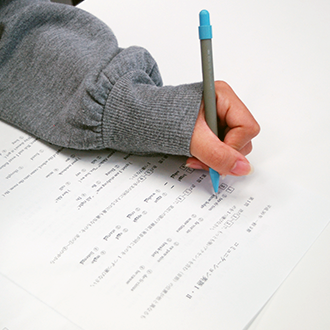 Basically applicants are judged by their application paper material. When required, they are asked to be interviewed to find out the profile, payment ability, and some things else on telephone, or other methods. *Those living in Japan are required to be interviewed. ＊Please be noted that foreign students living in Japan and outside Japan need to go through different types of application forms. After the Web entry, eligible applicants receive PDF files from KIIS. 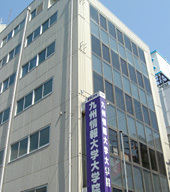 In a case when any student intends to enter KIIS after graduating from the Japanese school, the admissions fee of 220,000 yen (as of 2019) is waived. 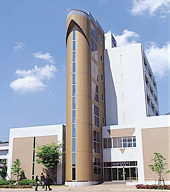 The students of Japanese Language School are permitted to use the library, PC clinic (a room students can go for care and advice relating to their computers) and other facilities of KIIS Dazaifu Campus.